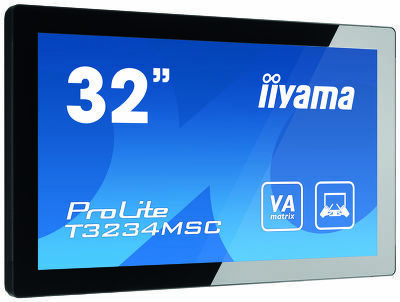 iiyama launch the new PLT3234MSC 32” Projective Capacitive Touch Screen at the ISE Show. 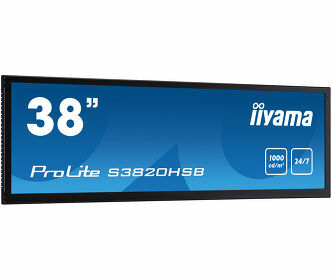 iiyama has today announced the launch of their new ProLite PLT3234MSC 32” Multi-touch LCD Screen, which will be on display at the ISE Show 2012. The T3234MSC uses Projective Capacitive Touch Technology, built into an eye catching bezel with Edge to Edge glass. Featuring VA LCD Screen technology, it offers exceptional colour performance and wide viewing angles , making it a perfect interactive display for Interactive Digital Signage. In addition to the superb image quality , the screen comes with an IP54 Rating, making it dust and water resistant. And, comes with a rugged bezel making it suitable for demanding environments. 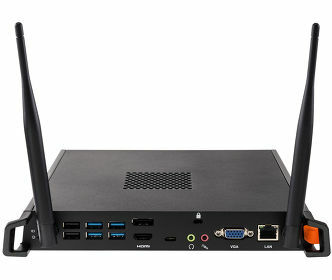 The screen also features a vast array of inputs including DVI as well as USB for the Touch sensor itself, and a High Definition 1920 x 1080 Resolution. The PLT3234MSC is the ideal solution for Interactive Digital Signage , Instore Retail, Kiosks , Gaming and Interactive Presentations. iiyama now supply a vast range of Touch Screens ranging from 15” through to 65”, and this latest addition completes a comprehensive range of solutions available from one of Europe’s most versatile display manufacturers. The display will also be available as a 22'' screen - ProLite T2234MC. The ProLite T3234MSC is available from early 2012 at an SRP from €2299.00 ex VAT. For more details contact the Information Line on 01438 745482 or come and meet the iiyama team to discuss our exciting range of Touch Screens at the ISE Show 2012 on stand 9F141.